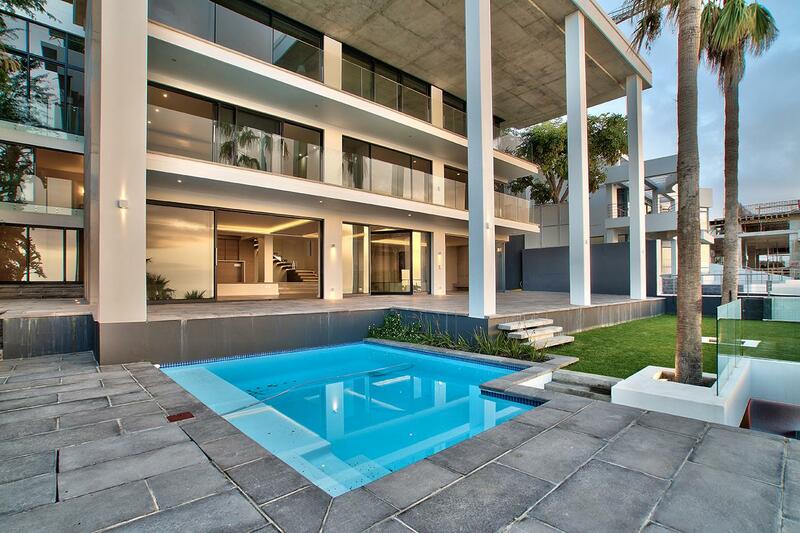 This prime positioned North-facing, multi-level home, set at the highest building line on Lions Head and comprises of every desirable amenity including a gourmet kitchen with integrated appliances, ample storage areas, multiple recreational and entertaining spaces, a robust security system, a temperature controlled wine cellar and heated swimming pool. 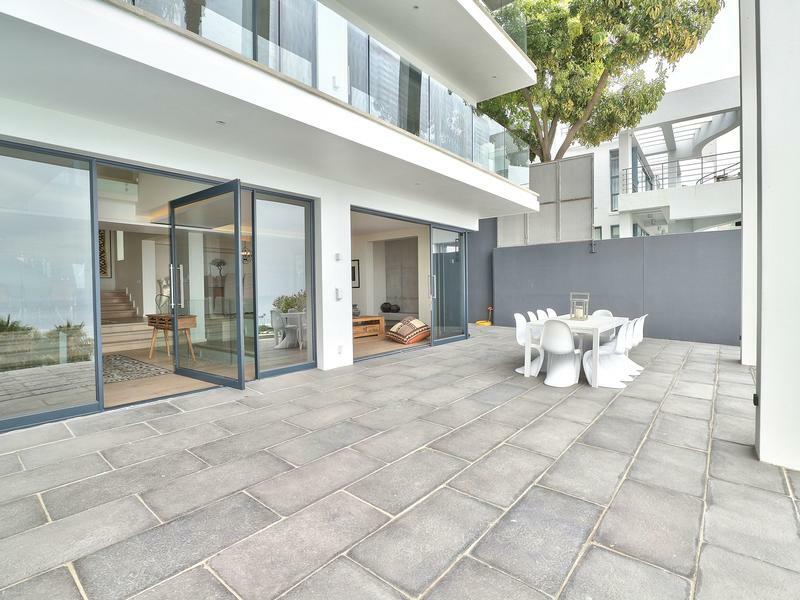 Apart from the clever design which includes off-shutter concrete finishes, out-of-sight lighting system and exceptional quality construction – the purchase of this property includes a one year comprehensive warrantee by the builder. 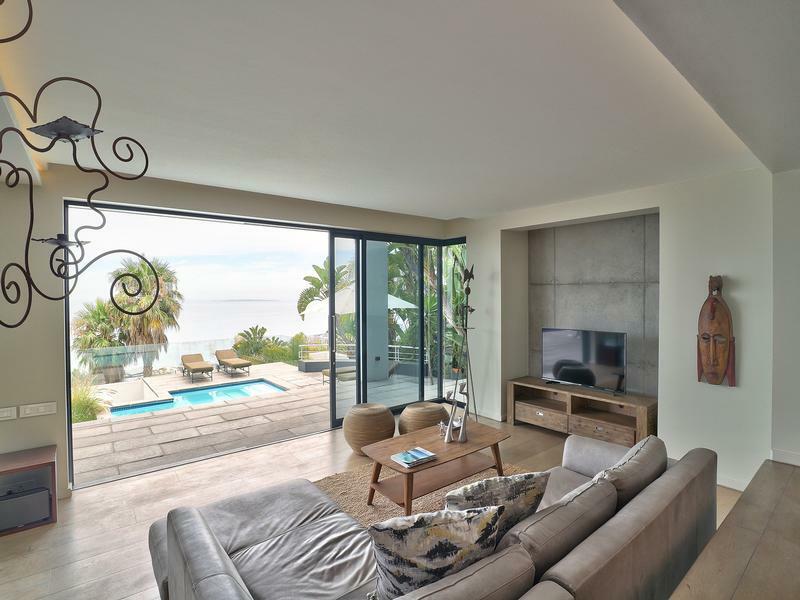 Whether seeking a vacation residence from which to explore Cape Town and surroundings or a home to raise a family and entertain in luxury, this newly built home caters to a comprehensive lifestyle. 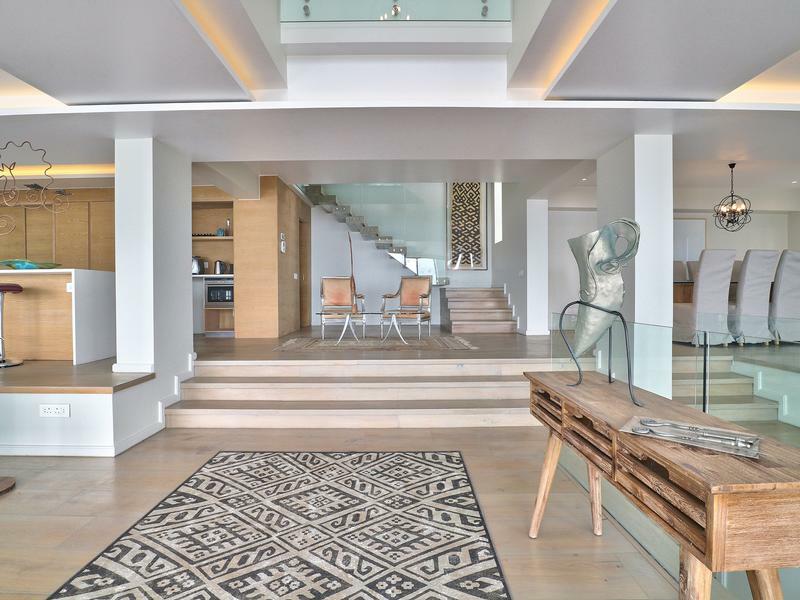 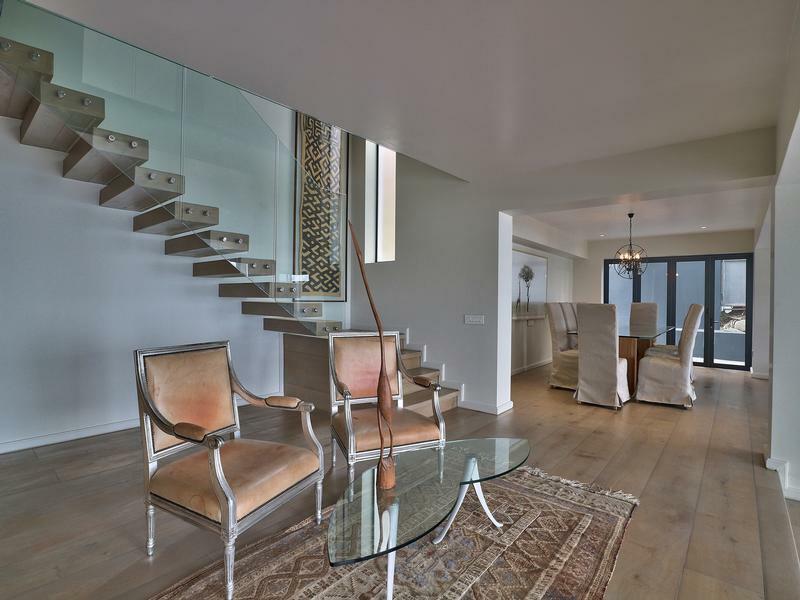 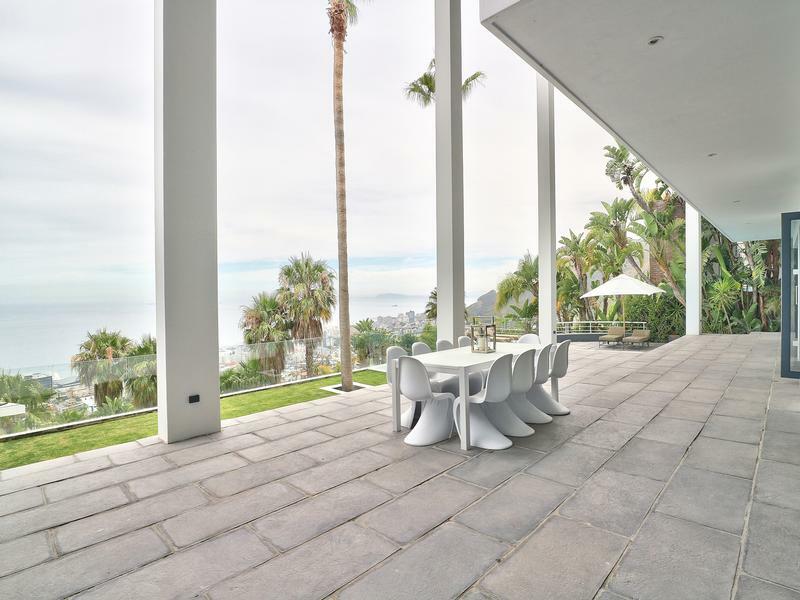 To live in this private, well-proportioned and light-filled apartment style home surrounded by exceptional views, is to enjoy one of the world’s most prestigious addresses at the very top of Fresnaye. 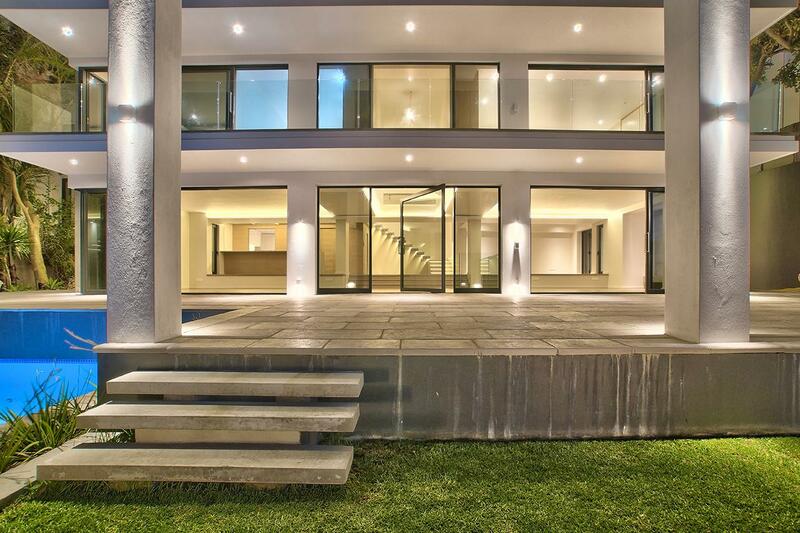 Entry to this home is via a private road leading to 2 double garages and an under-cover parking bay. 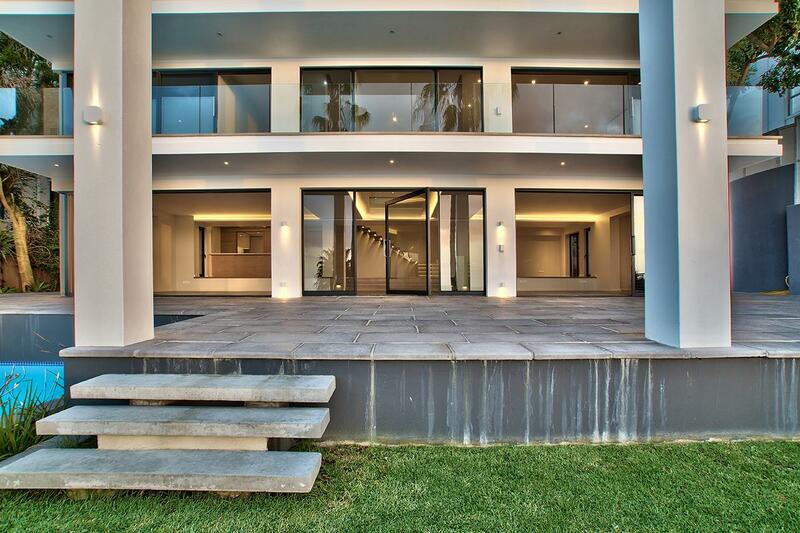 From the parking you ascend to the entertainer’s level, pass the sparkling pool to the front door. 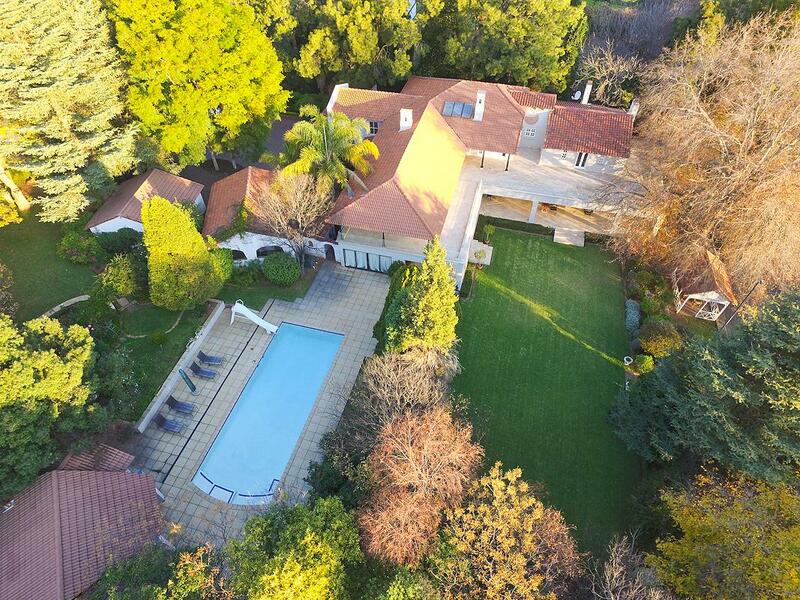 The lower level comprises the living areas, kitchen, pantry, laundry and one bedroom with en-suite which is ideally suited as a private guest suite or staff / au pair accommodation. 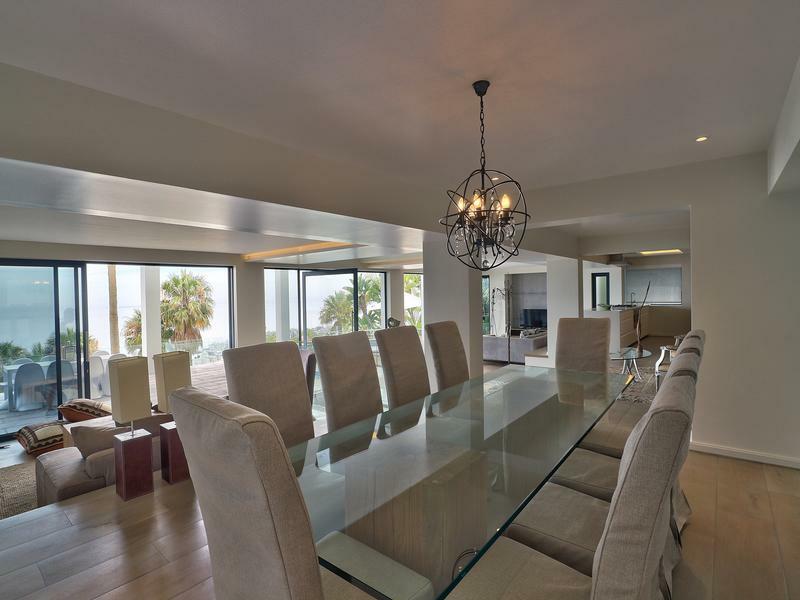 Enjoy the generous flow of space from the open-plan kitchen / lounge/dining-, family room to the entertainer’s undercover patio and pool from where you can take in the sublime views of the ocean and mountains. 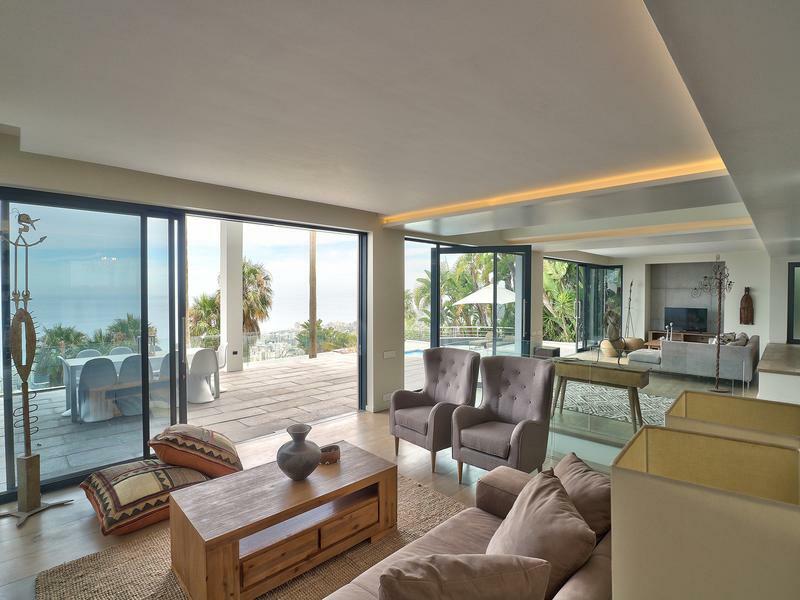 The aura of the stylish and sun-soaked open-plan lounge/living area changes throughout the day due to plentiful light pouring through the floor to ceiling glass. 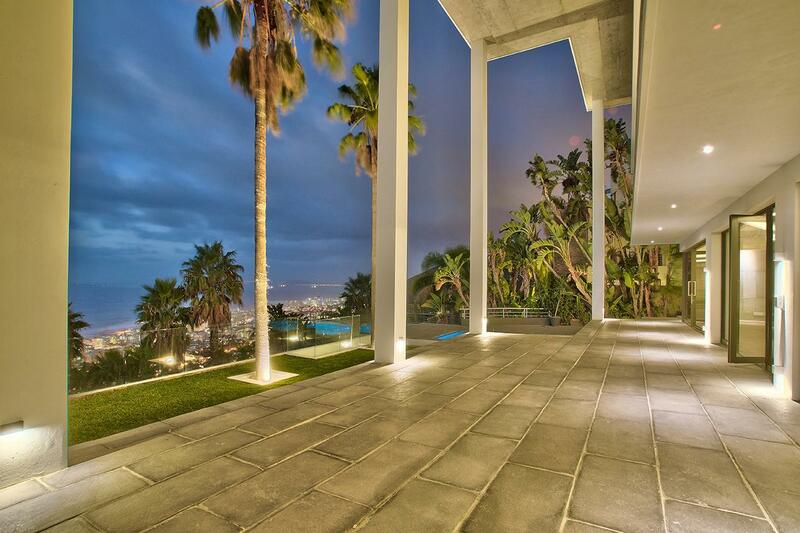 The scene changes at night with the ocean vistas reflecting twinkling lights of ships sailing in the distance. 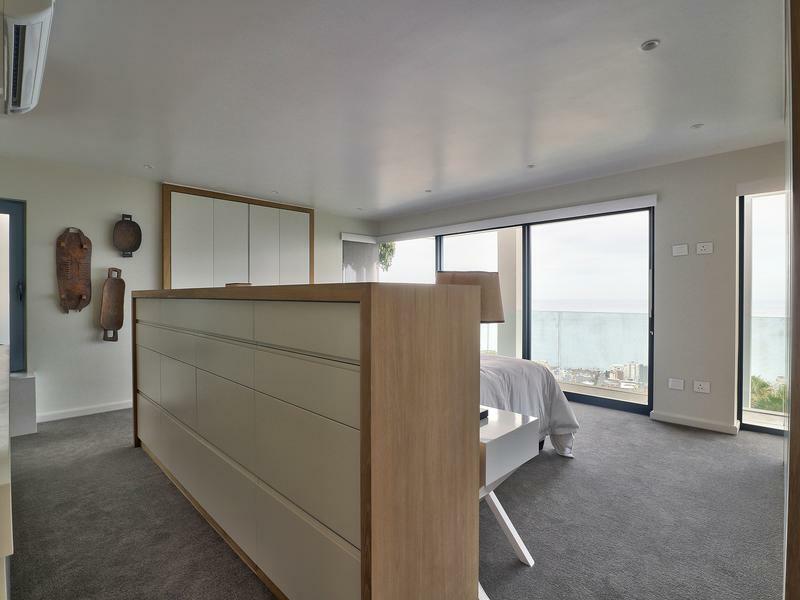 The first floor comprises four air-conditioned en-suite bedrooms, three of which open onto a covered balcony whilst the fourth opens onto a glass balustrade. 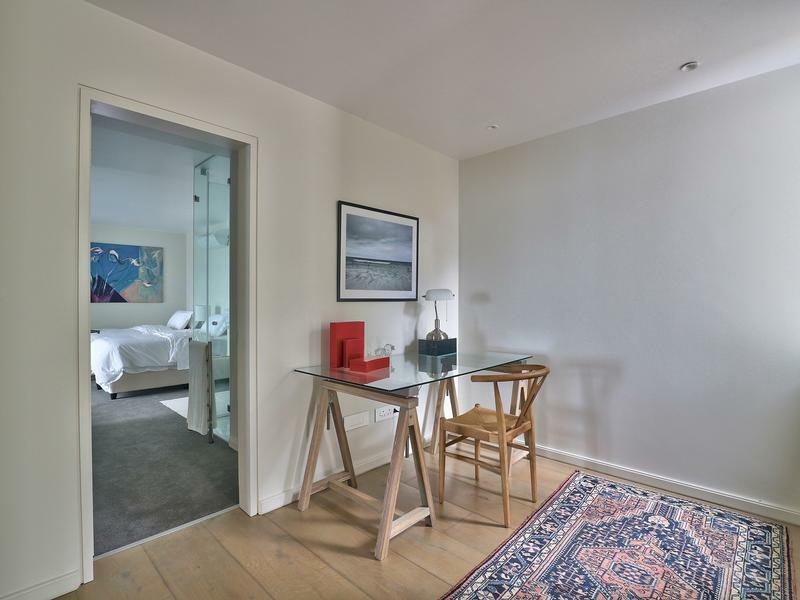 Two spacious landing areas can be utilised for a home office / study / play area or a quiet reading spot. 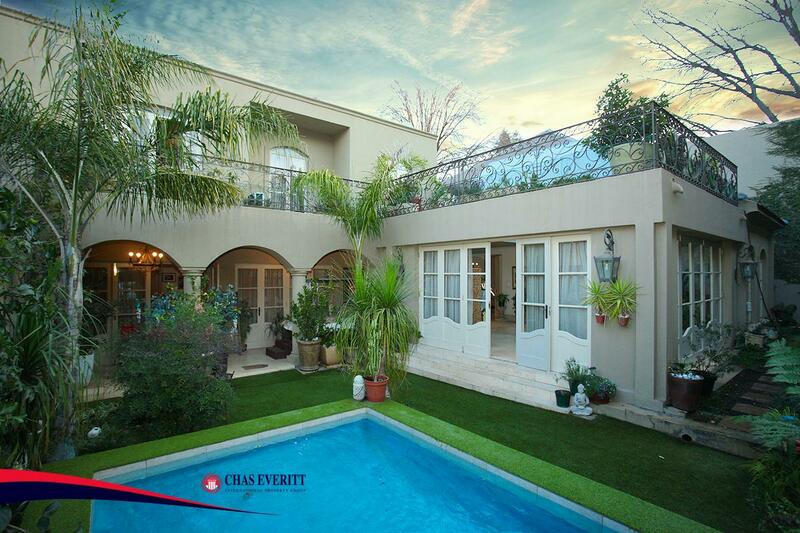 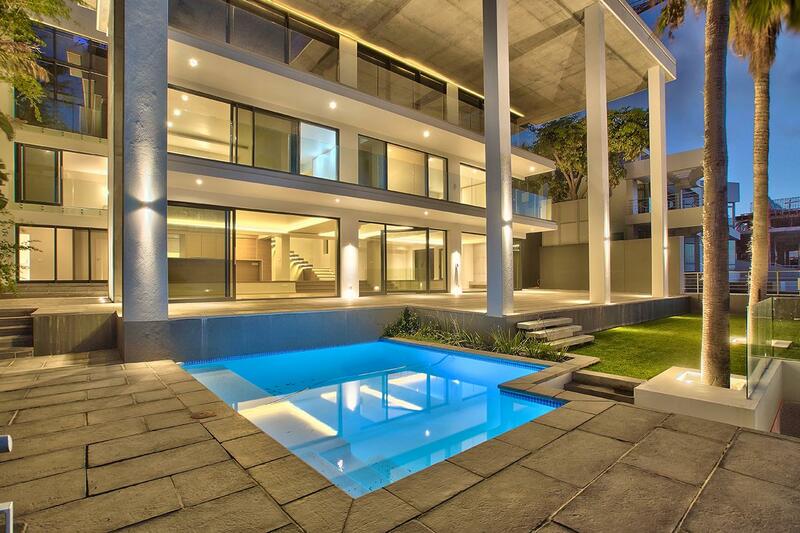 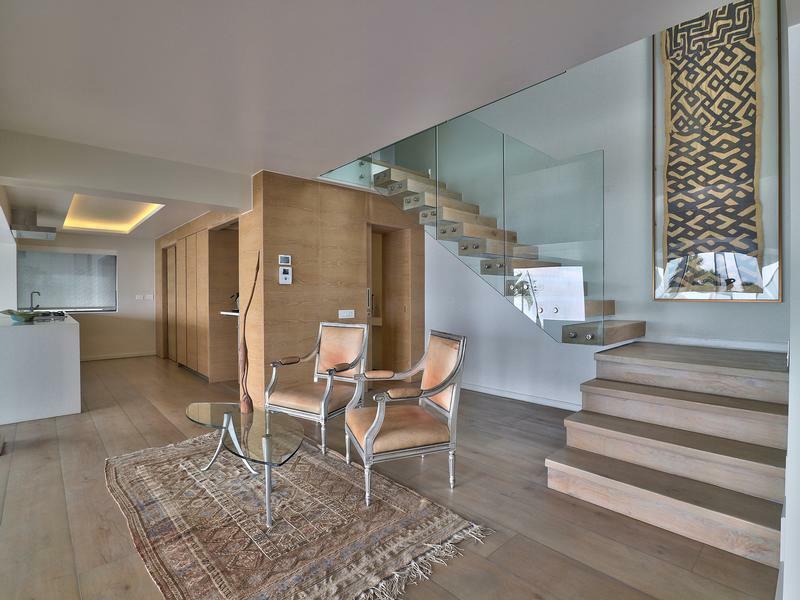 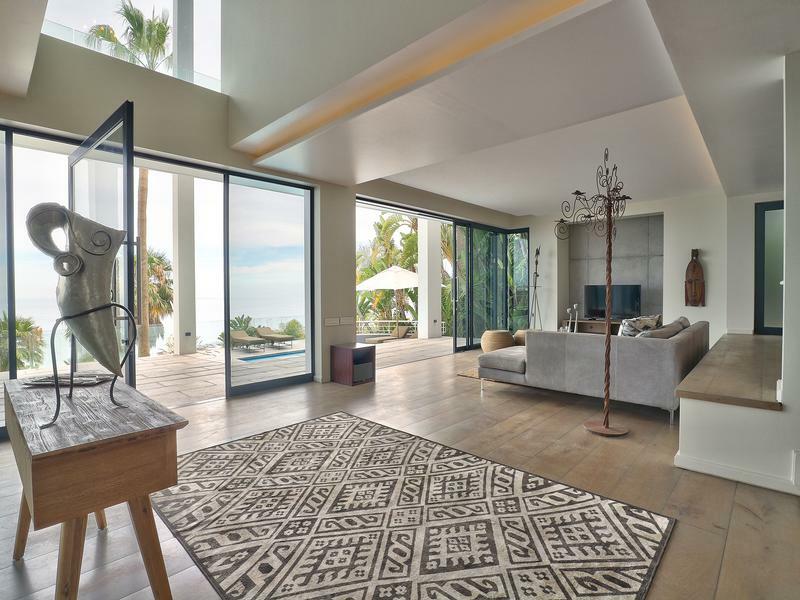 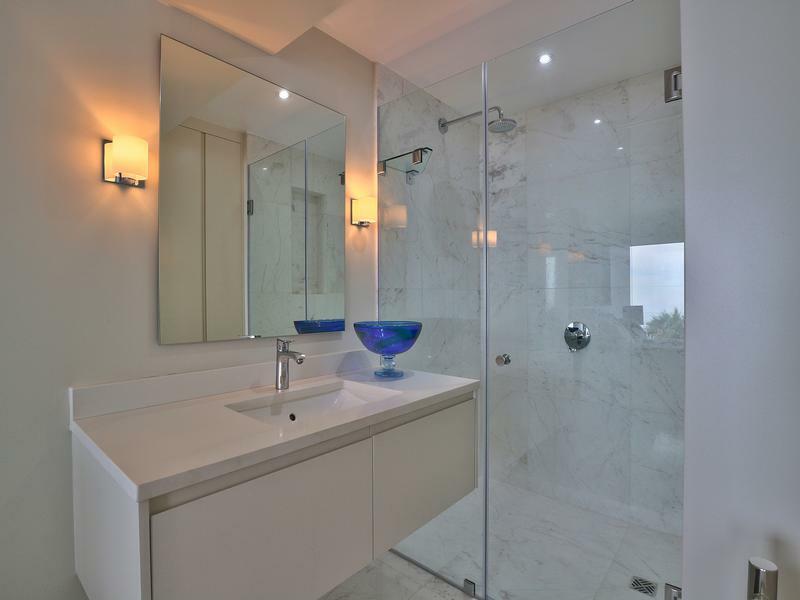 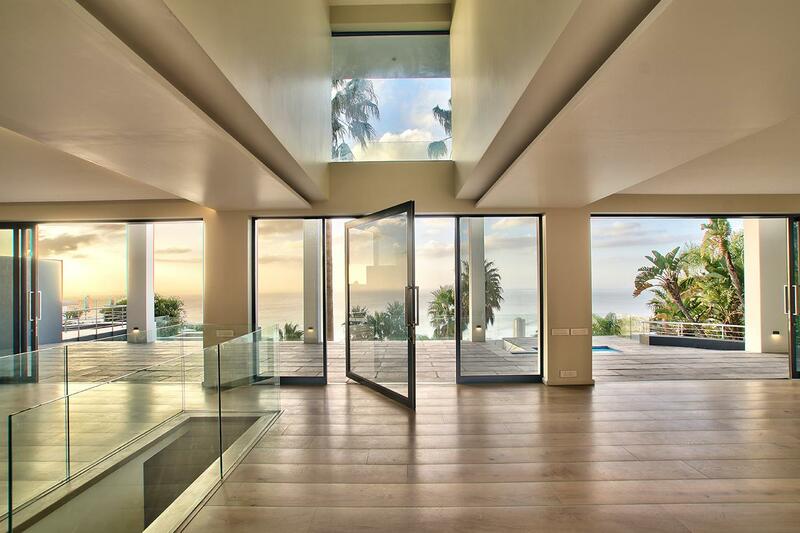 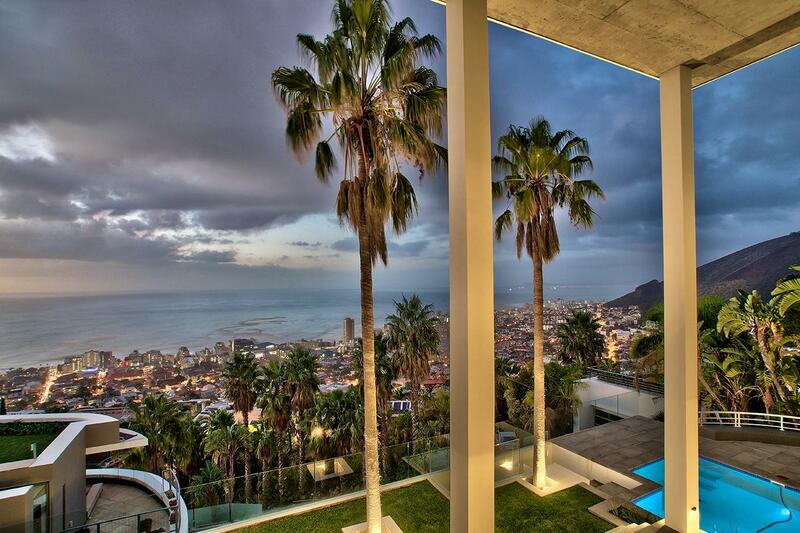 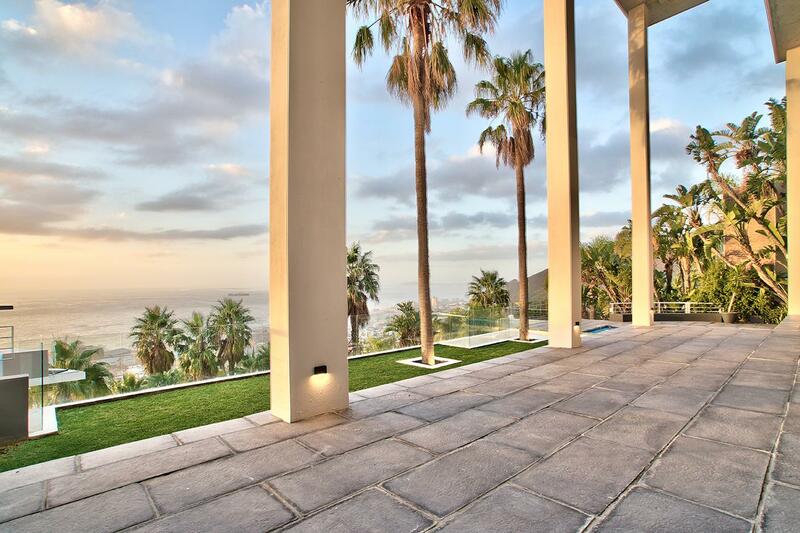 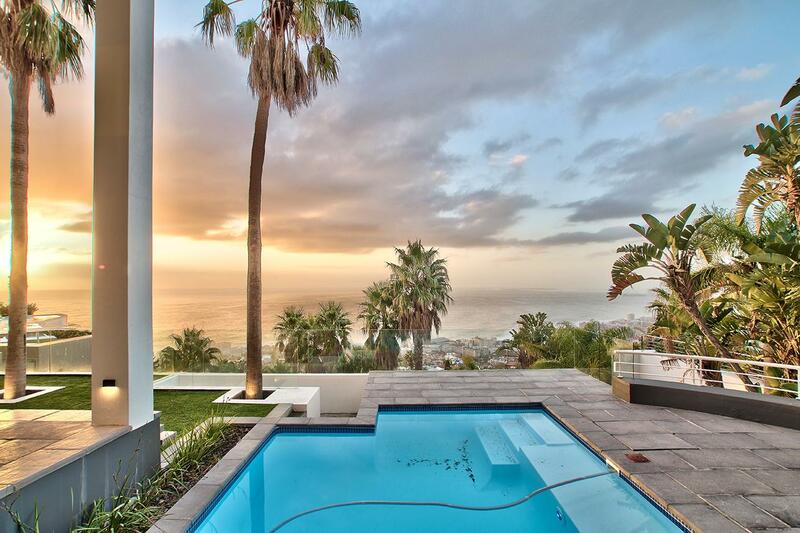 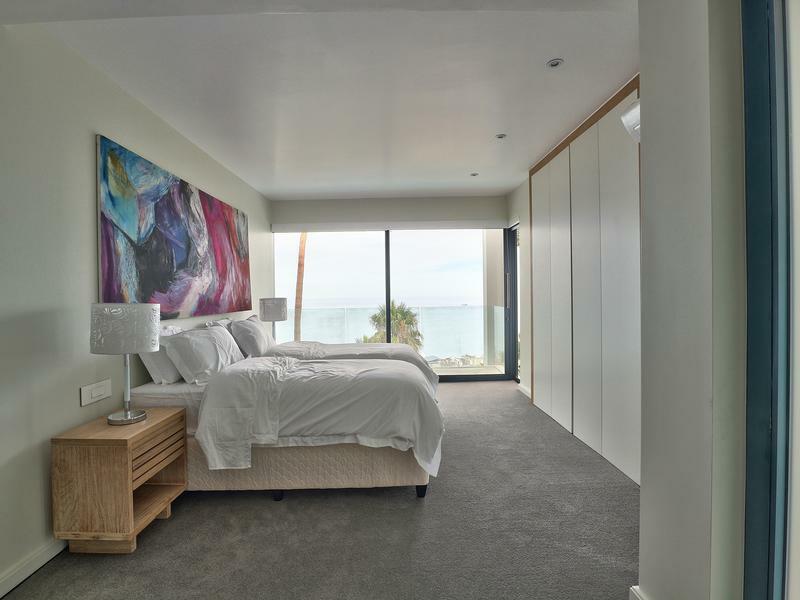 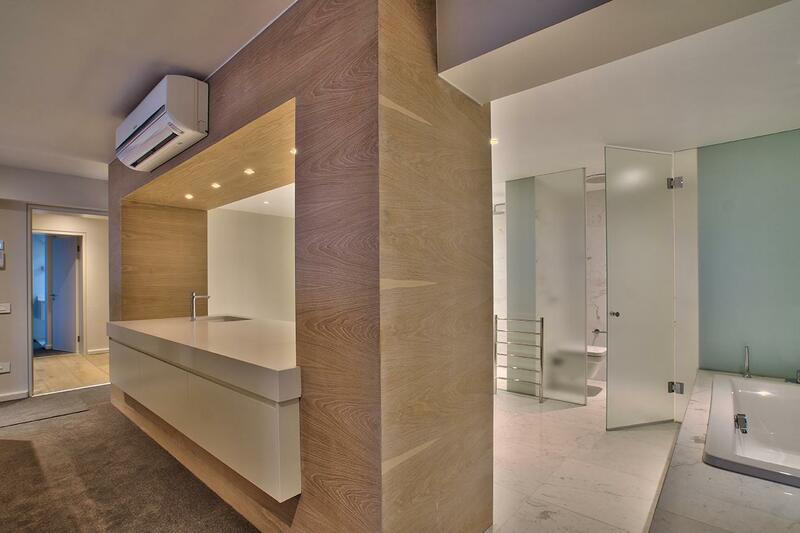 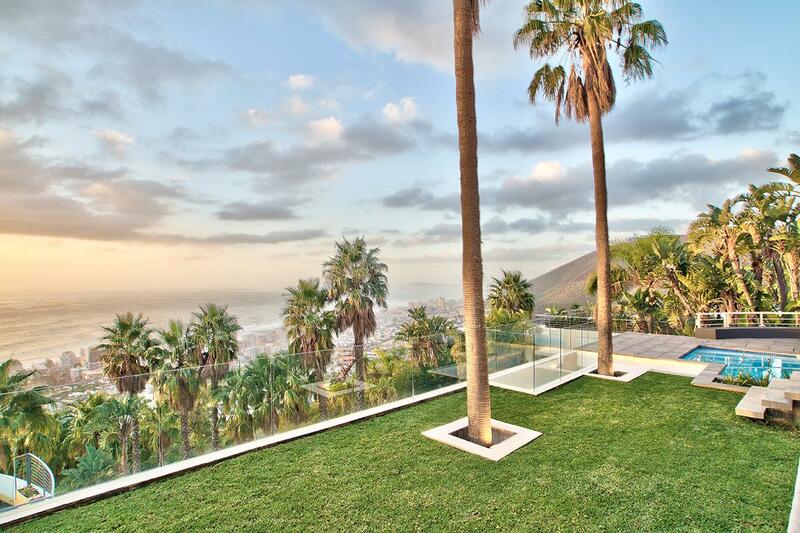 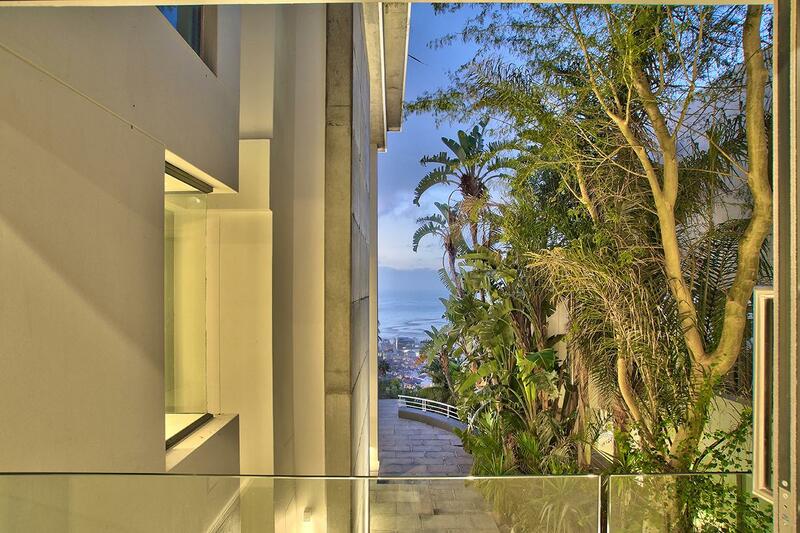 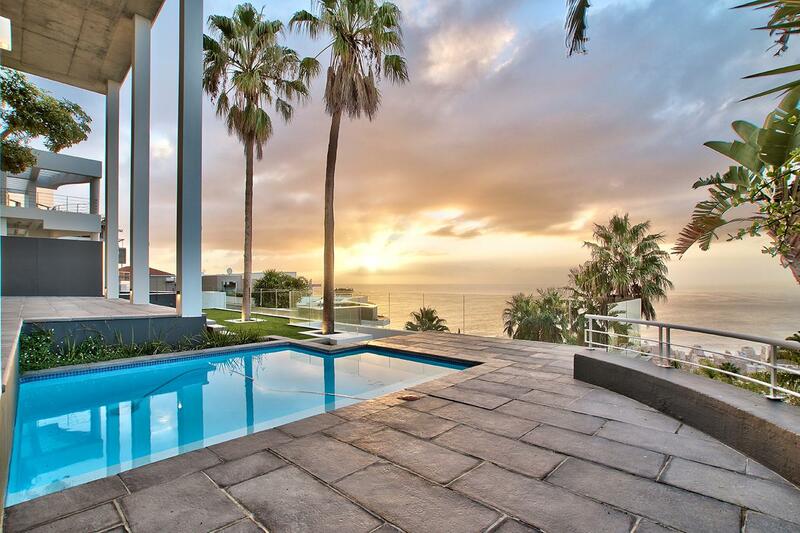 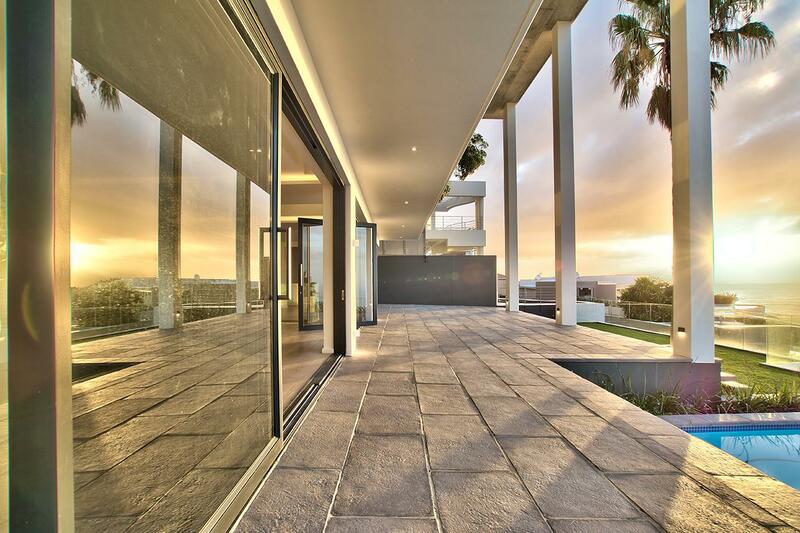 All bedrooms on this level have expansive views over Fresnaye and the Atlantic Ocean. 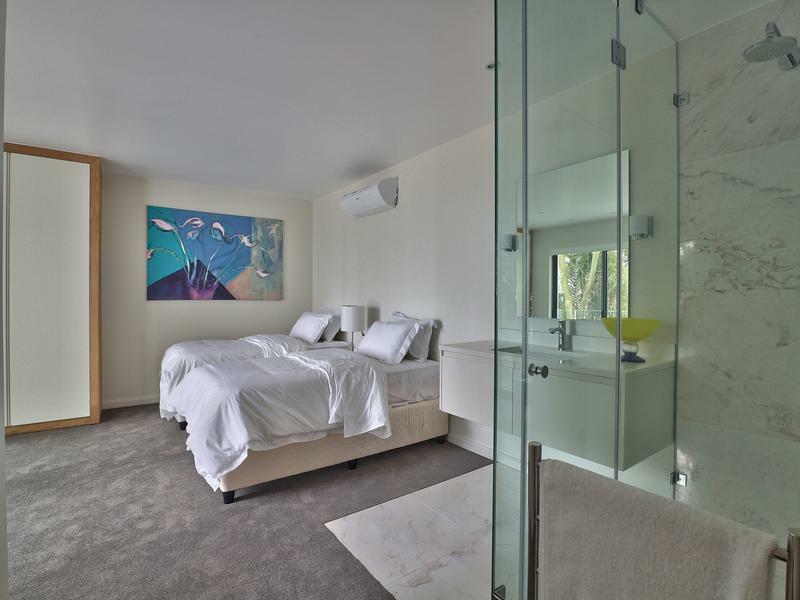 The designated master bedroom comprises an expansive suite that includes an elegantly appointed bathroom with a large double vanity. 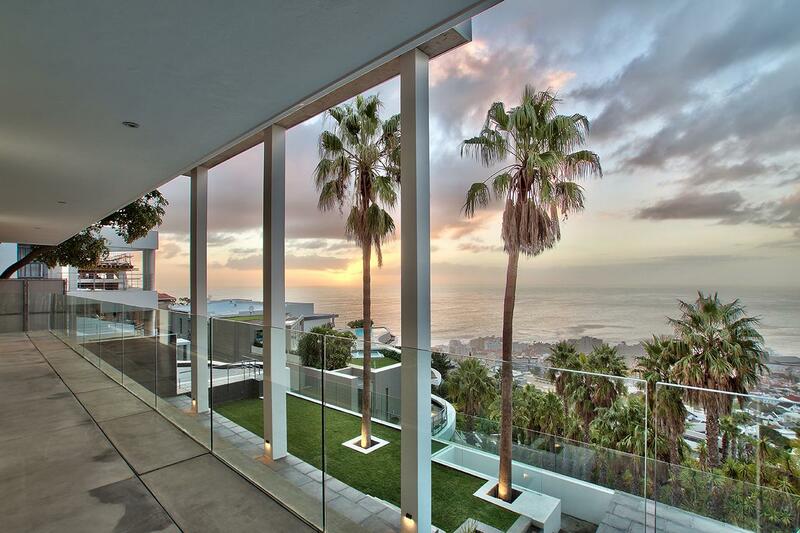 From your bedroom onto the balcony, sip cocktails whilst savouring one of South Africa’s most heart-stirring views. 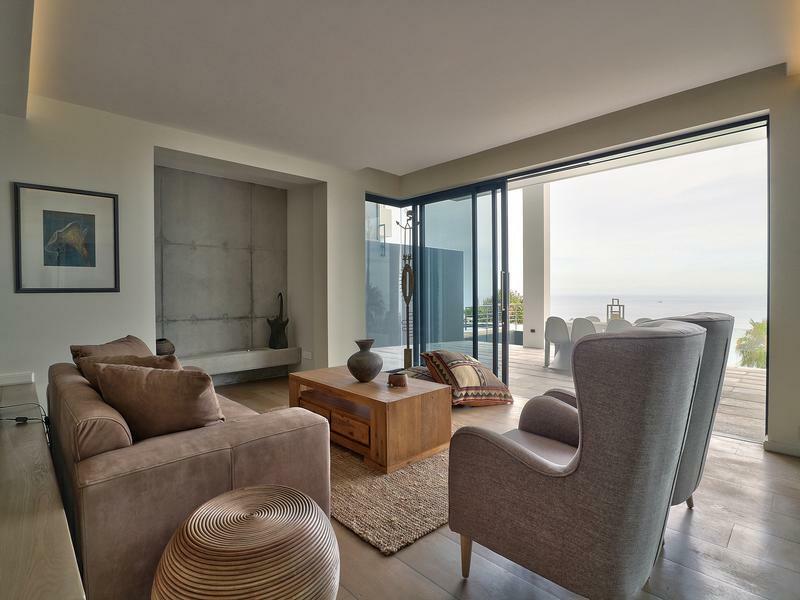 Make an appointment to view today and envisage your own personal touches to create the dream home in this most sort after location.